Thank you so much for visiting my website. I do hope that this FAQ section will answer your query, but if you can’t find what you are looking for, then do check my blog and the rest of my site. I post lots of information, advice, tips, recipes and event details on a regular basis, so there’s a good chance you’ll be able to find something helpful there, too. I’m sorry to say that although I would love to answer all of your questions personally, due to the high volume of requests that I receive, I am unable to do so. However, I do read as many of them as I can, and try to respond to common questions via this website – so do keep in contact! I am sadly not able to take on new clients for Nutritional Therapy consultations and, due to the volume of requests, I cannot provide individual advice or health guidance by email. However, I do encourage you to find a Nutritional Therapist or Functional Medical Practitioner in your area. It is very important if you are seeking the support of a nutritionist to check that they are appropriately qualified and regulated. This is because anyone can call themselves a nutritionist – it is not a protected title like doctor, nurse or dietician (you can even buy a 2-hr course online and start up as a nutritionist!). Clearly, this is very different to someone who will have spent 3 years in undergraduate training and up to 4 further years training in nutritional sciences, plus regular continuing professional development once qualified. So do choose carefully, and don’t be afraid to ask to see proof of credentials if you are concerned. Alternatively, for those on a budget and time to travel, the Institute for Optimum Nutrition in Richmond (the school where I trained) offers appointments with final year students and graduate practitioners on placement, as well as specialist & experienced practitioners – all in their main clinic. They are also on hand to take client enquiries and if they are unable to take a case on (often because the client lives too far away) they will carefully research and recommend the best practitioner for you based on location and specialism. Click here for more info. I love meeting and chatting with all of you, and try to do lots of different types of events over the course of each year which help to spread the Eat. Nourish. Glow. message. These events can range from intimate supper clubs, to workshops, talks, Q & As – sometimes you may even catch me on TV (view clips)! You can keep up to date with upcoming events by signing up to receive my monthly newsletter (see sidebar), checking out my events page, following me on Instagram and Twitter, or checking my blog here on the site. We are working towards creating new videos on YouTube, too. I wholeheartedly believe that good skin starts from the inside – through nourishing nutrition: plenty of good fats (such as omega-3 fish oils, avocado and delicious nut & seed oils), protein, vitamins (especially B vitamins, and vitamins A, C & E), minerals (iron, copper, zinc), a well-functioning gut, hydration and minimal processed foods, sugar or alcohol. Without these fundamental building blocks in place, no amount of face creams will make a significant difference! Take a look at my article for GOOP on Eating for Beauty for some vibrant recipes which focus on skin health. However, when I do feel that I need a little extra boost for my skin, I am always cautious about what I buy. As soon as you become more conscious about what you put in your body, you naturally become more aware of what you also put on your body. Take a look at this blog post: Lotions & Potions: How safe are they? for my views on cosmetics. I try to use natural products as much as I can. To be honest, I really don’t like the phrase ‘cheat’ meals: you’re not cheating, you are just eating something that you don’t normally eat. Working towards removing the negative feelings of guilt, addiction and cravings that often surround food is much harder when the language we use seems to just reinforce it. So that being said, yes, of course I do enjoy the odd glass of red wine and portion of French fries as much as the next person. But I do so mindfully and moderately – I wouldn’t then also have a pudding, for example. With my clients, I often find that it helps them if I verbally give them ‘permission’ to eat whatever they fancy one evening a week. It is amazing how quickly their choices change once they start eating more healthfully – after a couple of weeks, they just don’t want to have a blow-out, because they now can feel how negatively it affects them the next day. If you are struggling with cutting down sugar (those cravings can be really strong), then having some healthier alternatives up your sleeve can make resisting the nutritionally empty options a bit easier. A word of warning though – if you are trying to lose weight, do watch your portion sizes very carefully! I’ve even posted information on why chocolate can actually be good for us – see my article #EatInSeason:December. Absolutely. We are created to move around, not sit down all day, but I see from my practice that exercise, just like food, has started to get problematic. There are some of us that avoid it, and some that overdo it – yet both are equally bad for us. The truth of the matter is that you don’t have to spend a lot of time, or money, to move your body and get fit. It doesn’t have to be complicated, intimidating, obsessive or stressful, and above all else, it must be enjoyable. “If you have time for Facebook, you have time for exercise” Eat.Nourish.Glow. I do what I want to, and what I enjoy – by my own rules. That might be anything from taking the dogs out for long muddy walks or digging away in my garden (see Introducing my Kitchen Garden), but I also train twice a week with Steve Mellor and due to some structural issues, I have regular physiotherapy to keep working on improving my posture and strength. When the weather is nice, my boyfriend and I go for bike rides. And I love to do yoga, often it’s just a 5-10 minute stretch routine by myself in the mornings but when I can fit in a class I do those too. This is probably the commonest question I am asked, and the simple answer is that I’m afraid it depends on a host of circumstances and individual needs. If you think you might benefit from nutritional supplements, then I recommend seeking advice from a nutrition or healthcare professional to ensure that you are benefiting from the right ones for you and your body. For more information, do check out this blog post: Should I be taking supplements? “If you decide to supplement your diet, do your research, seek advice from an expert, and buy the best’. Eat.Nourish.Glow. I do not endorse or condemn any manufacturers in particular, but I would urge you to be cautious if you chose to buy and take supplements. Just as with the food you buy, ensure you source the highest quality supplements you can find, ideally from a reputable firm that is happy to tell you about its quality control procedures. Both my books, Eat.Nourish.Glow. and Cook.Nourish.Glow. are available from all major bookshops, some health food stores and supermarkets, as well as online. Eat.Nourish.Glow. is currently widely available in the UK, US, Canada, Australia and India. I am delighted to say that it has also been translated into many different languages and is available to buy in Portugal, Germany, the Czech Republic, Albania and Holland. Cook.Nourish.Glow. is available in the UK & US and Canada. Congratulations on committing to creating a healthier lifestyle. You most certainly will not regret it and hopefully you’ll feel and see the benefits almost immediately. Starting out on this journey can seem daunting to begin with, but fear not! Have a good read through this website for lots of ideas, maybe have a watch of these two videos: How to Nourish Yourself and The Basics of Eating Well. And of course, if you haven’t already, get your hands on a copy of Eat.Nourish.Glow., which outlines 10 easy steps to losing weight, looking younger and feeling healthier. We are heavily influenced by what we see, so if you can’t have as thorough a kitchen detox as you’d ideally like (perhaps due to family constraints or other diets to cater for), try to store anything that doesn’t match your new lifestyle out of sight; off the counter or open shelves, into tins or opaque containers and into a separate cupboard. Try to keep this cupboard out-of-bounds to yourself. Removing subtle ‘cues’ such as these, such as seeing the biscuit tin on the counter and then wanting a biscuit, can really help to cut down on the amount of willpower you need to spend each day sticking to your new plan, at least until those pesky cravings start to fade away by themselves. Best of luck. For more information on committing yourself to a thorough kitchen detox, see Chapter 2 of Eat.Nourish.Glow. Firstly, well done indeed for taking the first step to tackling your relationship with food. It may have been a long and challenging journey for you, but hopefully by seeking information about where you can access more help and support, you are already on your way to a healthier, more positive place around food, eating and body image. Some nutritional therapists are trained to help with the emotional issues surrounding food, but you should also try BACP British Association for Counselling and Psychotherapy bacp.co.uk. Good luck! Wherever possible, I would really encourage you to eat organically. Take a look at this blog article for the reasons why I think this is important, but also how to prioritise your organic budget: Is Organic Food Worth It? That is a decision which is very personal, and so I cannot say whether you should, or indeed, should not cut our dairy from your diet. Personally, I avoid cow’s milk products, and only very rarely have small amounts of sheep or goat’s milk. However, I am also very careful to make sure that I get all of the important nutrients (such as calcium, iodine and B vitamins) usually found in milk from a variety of other dietary sources. For more information on this topic, check out this blog post: Let’s talk about milk. Again, that is a very personal decision. Clearly, if you have been diagnosed with Coeliac disease, then it is very important to steer well clear of gluten – in fact, that is the main goal of managing the condition. Take a look at my articles, the Truth about Gluten, Grains & Weight-loss and Why Gluten-free Isn’t Always the Best Option for more information. That’s a really great question and one that I am asked frequently. It can be ever so confusing with all the different advice, marketing and recipes out there, so take a look through this handy guide on Sugar Alternatives Explained which covers all the common sugar alternatives: What they are? Why they are/are not a good option? How they taste? Plus, things to be aware of. I also love other oils, but I make sure only to use extra virgin olive oil and rapeseed oils cold over salads, fish, meats or roasted vegetables. For cooking, I would recommend either a light olive, macadamia or avocado oil (which can cook safely at a moderately higher temperature), butter or ghee (if you are OK with dairy), or you can now get a tasteless and odourless coconut oil, often called ‘cuisine’, which can be a great alternative. 1. Sugar – fluctuating blood sugar, and insulin, levels can leave us feeling exhausted for long stretches of the day. Try cutting back on all refined sugar, but also on excessive fruit sugars (juices, smoothies, dried fruit) and refined grains (bread, pasta, rice etc. ), and making sure that you are having a serving of protein at every meal too. 2. Too much caffeine – this is a tricky one, because we can get caught in a vicious cycle. We feel tired, so we drink caffeine, but when this wears off we need ever more caffeine to feel normal again. Try starting to gradually cut down your caffeine consumption, switching to decaffeinated herbal teas or infused water. Although this might seem like an impossible task – it really is worthwhile to feel free from those constant cravings, and your energy will soar. 5. Overuse of technology (especially in the evenings and before bed). Try a ‘technology sundown’, where all your devices are switched off an hour before you sleep. You might be surprised how sleepy-making just reading a good ol’ fashioned book tucked up in bed might be! 6. Not drinking enough water or fluids. With the risk of sounding a little crude…just aim for your urine to be a pale yellow throughout the day. Any darker, and you need to top-up. 7. Not eating a nourishing, balanced diet – for our energy to function on ‘max’ we need a diet jam-packed with all the vitamins, minerals and macronutrients (carbohydrates, proteins and fats) which our body needs for survival. Following the principles set out in my two books should help you make great strides towards achieving this goal. Also, do check out my videos How to Nourish Yourself, and The Basics of Eating Well for some more ideas. However, if you’re doing all the right things and you still feel tired all the time then I would certainly advise you go to see your GP to investigate what might be going on a little more. A nutritional therapist would also be able to help identify underlying deficiencies in certain nutrients but is not a replacement for medical attention. To find a qualified Nutritional Therapist go to BANT, the British Association for Applied Nutrition & Nutritional Therapy bant.org.uk. 1. Remember you don’t have to eat meat every day. So many of us – especially those you have got into the habit of buying cheap supermarket meat – seem to think we should eat meat every day. So when you make the switch to organic meat, it can feel very expensive. Instead, I recommend buying organic, locally reared meat from your local butcher and eating it just once or twice a week. Try stretching the meat out to go further too, for example, using the bones from a leftover roast chicken to make a delicious bone broth (watch my YouTube video: My Super Nutritions Bone Broth) for the following day. Two meals for the price of one! 2. Plan ahead – I make big batches of soups and stews that last for days or I store them in the freezer. I very rarely chuck out food either – if I have an odd mix of vegetables in my fridge I chop them up, throw them together, add some torn herbs or spices to add flavour and whatever protein I have lying around and that’s my lunch. 3. Consider a vegbox delivery – I often find that supermarket organic vegetables look rather forlorn and limp, yet seem to cost the earth. Consider giving and organic vegetable box delivery scheme a go – it can work out cheaper, and certainly encourages you to eat a more varied diet than you might chose for yourself if the supermarket. See my page of recommended suppliers for some links to great organisations which provide this. 4. Buy in bulk. Things like lentils and chickpeas, for example, can be cheap as chips if you buy them dried in bulk. I then soak a huge batch overnight, cook them the next day and freeze them in portions. 6. Don’t overlook the frozen aisle – often things like berries, mango, spinach, peas and even oily fish like mackerel and wild salmon are much cheaper frozen than fresh. So there are plenty of ways to cut costs. But the other point I would make is that spending money on your food is the best investment you can make. I meet women who think nothing of spending £50 on a pot of face cream, yet they buy a supermarket chicken for £5. Spending money on nourishing, organic, real food is the most evidence-based anti-aging product (and health protector) there is. So do ask yourself this – is there really a better way to spend your money than on nourishing and protecting your health? If there is, I can’t think of one. 1. Do you even need to lose weight? A well-nourished, healthy body won’t lose weight if it doesn’t need to. Remember that a healthy body is NOT necessarily the same as the bodies you see in the media, on instagram and on TV. A healthy body has all the nutrition it needs to flourish, and is not about being the skinniest person you know! 2. If you are carrying extra weight, however, be honest with yourself. Are you genuinely eating how I recommend in the book? One of the chapters in Eat.Nourish.Glow. – Be consistent, not perfect – allows readers to go off track a little and not feel bad about it. However, in that chapter I also make the point that you can’t eat ‘just a little bit’ of junk food every single day and get away with it. So while the odd slip up is fine, a daily drip feed of sugary or processed food isn’t. 3. Do keep a watch on your portion sizes. I’m not a fan of calorie counting or measuring out ingredients, but huge portion sizes can hinder weight loss. 4. Make sure you’re not drinking your calories. The best food choices are often hindered by several daily lattes with sugar, or endless cups of tea or fizzy drinks or a couple of huge glasses of wine every night. Keep your drinks simple and just have the odd coffee or herbal tea and lots of filtered water. 5. Keep moving! Although weight loss is more about nutrition than it is about exercise, it is still important to keep moving to maintain your cardiovascular fitness and develop muscular strength and endurance. Remember, muscle is a metabolically active tissue – it burns more calories at rest than fat tissue does! We are all living in a frantic world, where we constantly online and available 24/7, work is all-consuming, children, family and other commitments take up the rest of our spare time, and yet we are still supposed to carve out hours to workout, shop and cook from scratch (oh, and get in those 8 hours beauty sleep, right?!). I am not saying it is easy. But I am saying that great nutrition is 100% worth it – not least because if you are fuelled correctly, managing everything else can become a whole lot simpler. So how can you stick to a healthy diet with next-to-no time? Of course, there will need to be a little trial and error, and everyone’s situation is unique. But these are a few of the ideas that have helped clients in the past. Perhaps they might also give you some ideas too. 1. If you are committed to improving your nutrition, then mentally setting this as a top priority, giving yourself permission to take time shopping, cooking and eating, can be helpful. Make eating, and make yourself, a top priority. 2. Prepare a speedy breakfast the night before. Overnight chia power porridge, a refreshing smoothie and a handful of nuts, or a slice of frittata. Set yourself up right for the day by making sure your most important meal is already ready to go the moment you get up. 3. Plan ahead. Brainstorm a few meal ideas at the end of the week (you don’t have to cook from scratch every night – leftovers are brilliant for lunch, and I always batch cook so I can freeze half for another busy evening). Put your online order in (or hit the shops on Saturday), and spent a couple of hours on Sunday evening preparing as much as you can for the week ahead. Even simple things like some prepared salads-in-a-jar, roasted veggies, a handful of boiled eggs, and perhaps a more substantial dish (such as a curry or fish pie) ready and waiting in the fridge will speed things up substantially, and help you stay on-track when you come in famished and exhausted. Check out an example of my food prep for the week ahead here. For those who often eat at work (or indeed, if you need to make lunches of family members or children), take a look at Healthy Lunchboxes for Kids & Grown-ups. Don’t be scared to go off-menu if you are eating out. If you need to eat out a lot for convenience, or work, then don’t be worried about asking the kitchen for a dish that still fits in with your goals. You can’t go too far wrong with some grilled or roasted fish, chicken or meat, a pile of green salad and some seasonal vegetables. I always ask for the vegetables to be undressed, but for some olive oil on the side. If you are constantly travelling, plane food (or ‘food-like substances’, as I call them!) can be a real problem. Take a look at this blog post on how to protect yourself against poor nutrition at 35,000 feet. And if you quote ‘Amelia Freer’ when ordering you may be offered an introductory discount (terms and conditions vary). That’s brilliant news! There are a number of different places you can study nutrition, depending on your background, previous education etc. I studied nutritional therapy at the Institute for Optimum Nutrition. Visit their website for more information. Functional Medicine is a way of practicing healthcare which sees the body as a whole, integrated system rather than separating it into different organs, focussing on causes rather than symptoms of ill-health (and indeed optimum health) and using lifestyle changes (especially diet and nutrition, sleep, exercise and relaxation) as central to recovery. It is still scientifically evidence based, and does not shun conventional medicine where necessary, but can be a very effective and powerful tool, particularly for chronic disease. I have undertaken training to be a Functional Nutritionist through the Institute of Functional Medicine, and am continuing to work towards becoming a fully-trained Functional Medicine Practitioner. For more information on this emerging field of medicine, do read my article about Functional Medicine here. I am at my happiest in my kitchen, rustling up a tasty meal for family or friends. Cooking is something I look forward to and prioritise making time for. However, I know that consistently cooking from scratch is something that many struggle with. I therefore love to help people gain kitchen confidence and learn to enjoy the process of preparing food. It is something that I have been doing with my clients for many years. 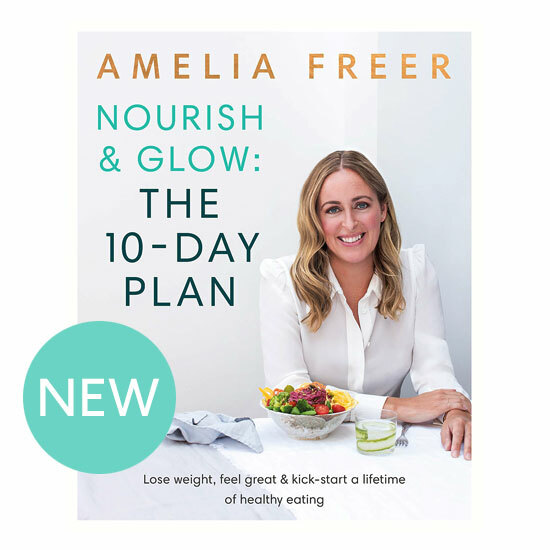 If you and your friends or colleagues would like me to come and cook delicious healthy dishes with you in your kitchen – or in mine – please send an email to info@ameliafreer.com and we can discuss your requirements and fees.